In March 1917, Nicholas II, the last Tsar of All the Russias, abdicated and the dynasty that had ruled an empire for three hundred years was forced from power by revolution. Now Robert Service, the eminent historian of Russia, examines Nicholas's life and thought from the months before his momentous abdication to his death, with his family, in Ekaterinburg in July 1918. The story has been told many times, but Service's deep understanding of the period and his forensic examination of previously untapped sources, including the Tsar's diaries and recorded conversations, as well as the testimonies of the official inquiry, shed remarkable new light on his troubled reign, also revealing the kind of Russia that Nicholas wanted to emerge from the Great War. 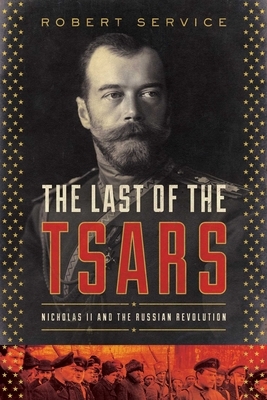 The Last of the Tsars is a masterful study of a man who was almost entirely out of his depth, perhaps even willfully so. It is also a compelling account of the social, economic and political ferment in Russia that followed the February Revolution, the Bolshevik seizure of power in October 1917, and the beginnings of Lenin's Soviet socialist republic.